It’s a 60-plus page book with the basics of starting (and re-starting and getting back on track) your genealogical search with a large number of online clickable web links. You can go buy the hardbound book or get this one for free by downloading it. There are a few ads on the first pages (three) one for a book by Scott Drew, one for the Genealogical.com website where you can — if you wish — sign up for a free genealogy newsletter by email, and one for WorldVitalRecords.com which is offering the Dollarhide book download for NOTHING. As a courtesy I looked at the ads and as a way of thanking them, I browsed those three ad pages, but it’s not required. Scott Fitzgerald is the editor of “East Texas Family Records, a quarterly publication of the East Texas Genealogical Society which covers the counties of Anderson, Gregg, Henderson, Panola, Rusk and Smith.” and the “Treasurer (2008-2011) of the Texas State Genealogical Society” among other things in the genealogical world of Texas. He has also presented programs at our Wood County society meetings. 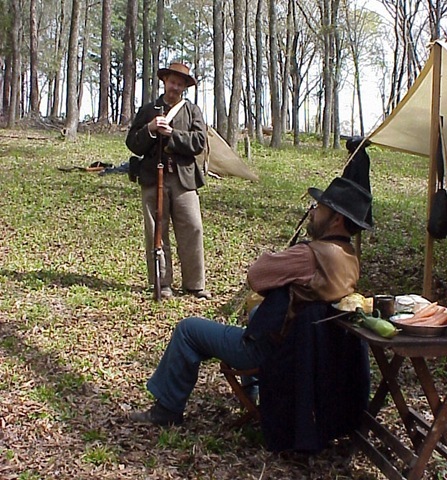 Thanks to Scott Fitzgerald who posted the following about the Camp Ford Reenactment this next weekend in Tyler to the Rootsweb East Texas Genealogical Society (ETGS) mailing list. It is reproduced here with his permission. Located at the northeast corner of highway 271 (Memorial Camp Ford Parkway) and the Loop 323 extension; there is a Whataburger directly across the street from the entrance. 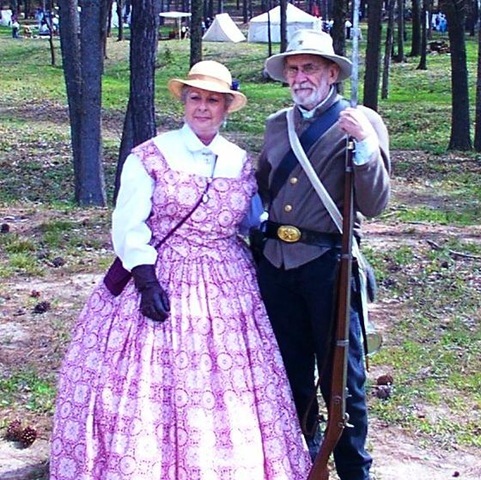 This annual event is fun and educational for all ages that want to learn more about the Civil War in Texas. Scheduled exhibits included are a period blacksmith, medical hospital, cavalry camp with horses, and a campaign camp with pup tents. There are also displays of women’s and children’s clothing, toys, household items and period flags. Floyd "Muddy" Waters will bring many different types of period armory for viewing as well. bring it for the ceremony held on Sunday. Thank you so much for your continued support of Smith County Historical Society and we look forward to seeing you there!